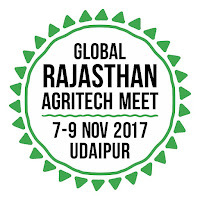 GRAM 2017 in Udaipur: The Divisional-level Global Rajasthan Agritech Meet (GRAM) will be held in Udaipur from 7 to 9 November. To be organized at the Maharana Pratap University of Agriculture & Technology the mega agri-event will have Video Arena, Special Pavilion for Agri Start-ups, Smart Farm, Conferences, Exhibition, ‘Jajam Chaupals’, among others. This was informed by Principal Secretary Agriculture, Government of Rajasthan, Ms. Neelkamal Darbari. The ‘GRAM’ Udaipur will be jointly organised by the Government of Rajasthan and Federation of Indian Chambers of Commerce and Industries (FICCI). Ms. Darbari further elaborated that the objective of the ‘GRAM’ at Udaipur, as in the ‘GRAMs’ held in Jaipur and Kota, is to empower farmers with latest technical know-how and best practices and provide a platform for showcasing Agri-Innovations. The event will also be an appropriate platform for entrepreneurial networking as well as initiating knowledge and technology transfer. Principal Secretary Agriculture also informed that the Smart Farm will be spread over 1200 sq. mtrs, Exhibition Area over 4000 sq. mtrs, Outdoor space over 3200 sq. Mtrs. A special highlight of the 3-day Agritech event will be a ‘Video Arena’ set-up for international players to showcase industry's best practices, production set-ups and manufacturing capabilities using videos and pictures. A special pavilion for Agri Start-Ups will also be set-up to facilitate incubation support to Agri-entrepreneurs and early-age tech start-ups by providing access to expert vision, knowledge and varied resources. Experts and well-known personas in the field of Agriculture, Horticulture and Animal Husbandry will be invited to speak at the event. The Udaipur Division is the largest producer of Maize, Soybean, Paddy, Pigeon Pea in agricultural crops. It is also one of the largest contributors of major fruit crops like Mango and Custard Apple. Isabgol is also emerging as a major medicinal crop here. Interestingly the cropping intensity of the Division is 154% as compared to State’s 138%. The Division is also bestowed with a strong agricultural output and rich produce. It is also well-positioned for investment in agro-processing and has an effective highway, train and air connectivity. 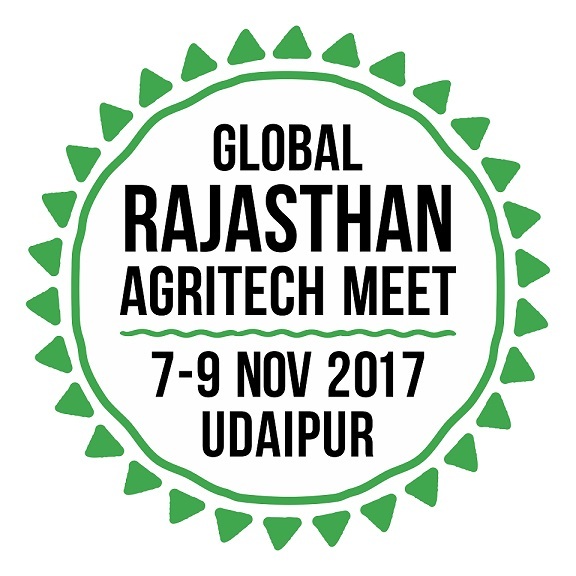 Global Rajasthan Agritech Meet (GRAM) will be held from 7 to 9 November at Maharana Pratap University of Agriculture & Technology in Udaipur. The GRAM Udaipur will be jointly organised by the Government of Rajasthan and Federation of Indian Chambers of Commerce and Industries (FICCI). Government of Rajasthan looks forward to replicate GRAM 2017 Kota’s accomplishment at Udaipur in Rajasthan. One of the core objectives of ‘GRAM’ Udaipur would be to empower the farmers with latest technical know-how and best practices while providing them with new business opportunities and avenues for growth and agriculture and allied ecosystems. The event will bring all stakeholders- farmers from in and around Udaipur, agribusiness companies, academicians, progressive farmers and farmer groups, financial institutions, animal husbandry experts and policy makers.